Stopping. 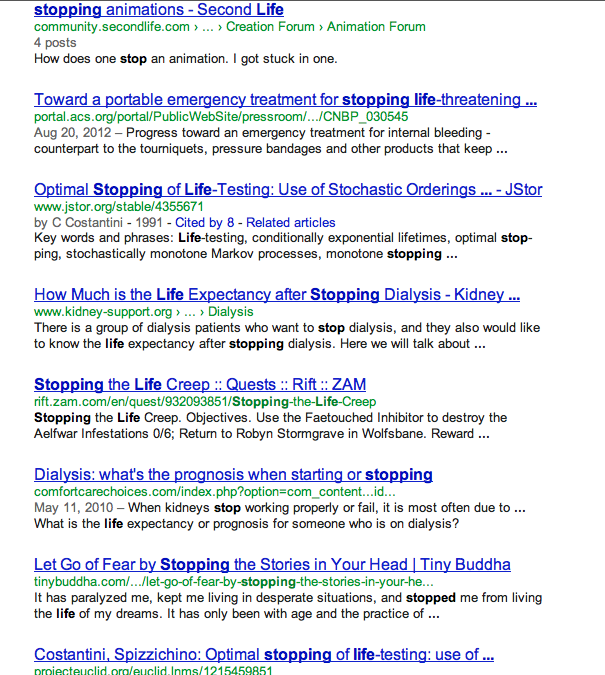 So I googled the words “Stopping in life”. I was looking for step by step directions since I had decided to “stop” doing a lot of things “in my life”, I wanted to make sure I knew the right things to stop doing. And this was the results of the 1st google page. I learned that the life expectancy of someone on Dialysis is longer than one who is not. So I’m thinking that the life expectancy of someone who does the things that make them happy in life, those who are happiest, live longer than those who don’t or aren’t as happy, right? That doing the things that make us happy is like dialysis for the soul. The dialysis is a mix of, physiological, safety, belonging, self-esteem, self actualization, with the main ingredient of “letting go of fear”, (stopping the stories in our heads), that keep us from living the life of our dreams. Because the soul is like the kidneys, they, like the soul, serve an essential regulatory role. 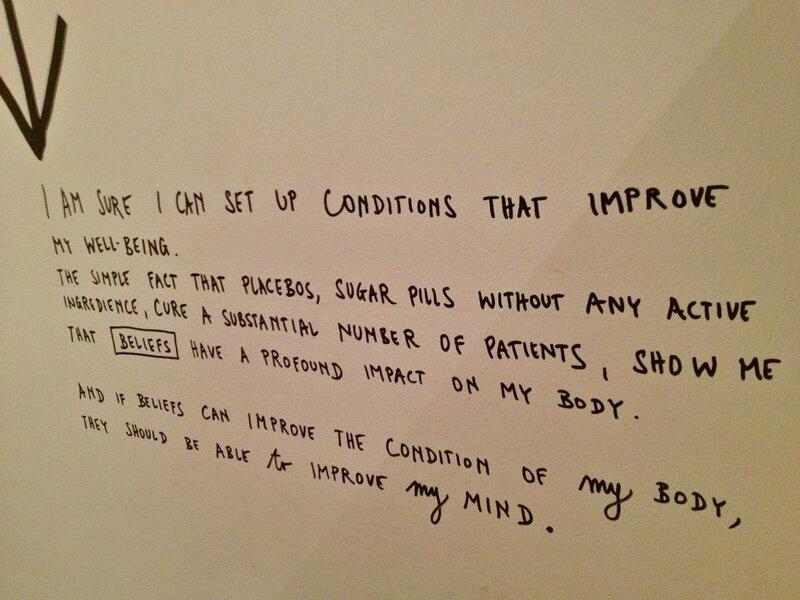 Kinda important to stay on that dialysis of the soul I think. 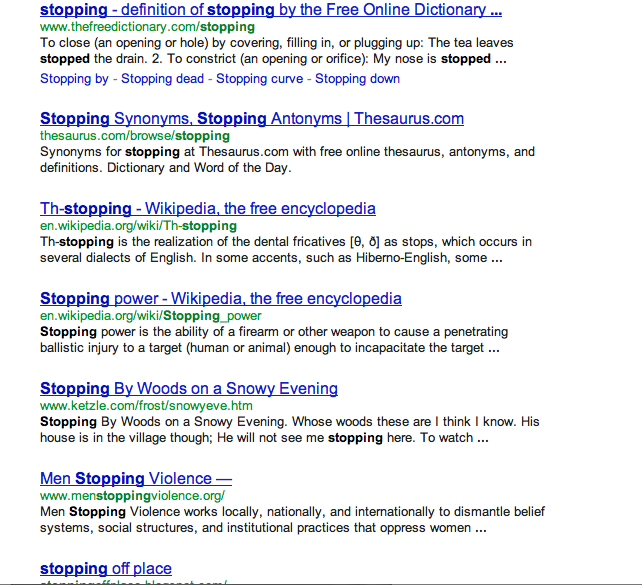 Really I think the word stop, should actually be defined as Start. Or somewhere along the way we’ve reversed the meanings in our english language. Or maybe it should be defined as the only thing that comes before Start. Start doesn’t exist without Stop. What are we going stop “stop/start” in our life to take charge of our own destiny? We need to stop repeating the things we dislike and do something about it. Start to think compassion over desire. 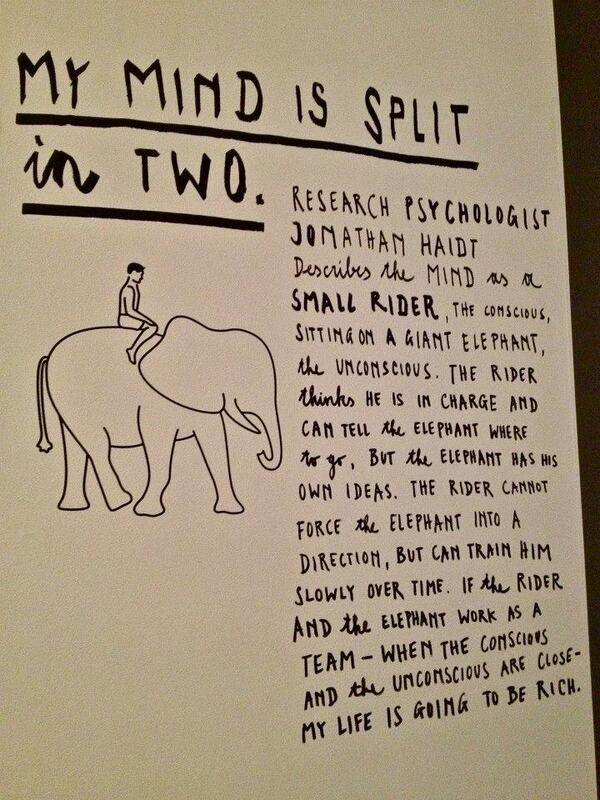 Stop the fight between our conscious and subconscious mind and start letting them live in harmony. Start to find the meaning in our life. Start going with what we belive in. Start with your inner child. Seek discomfort. Live in the moment. And stop doing all the things that prevent us from living our full potential. Thank you to the Toronto Design Exchange for putting on the Happy Show – by: Stefan Sagmeister The photo’s above are from the show.